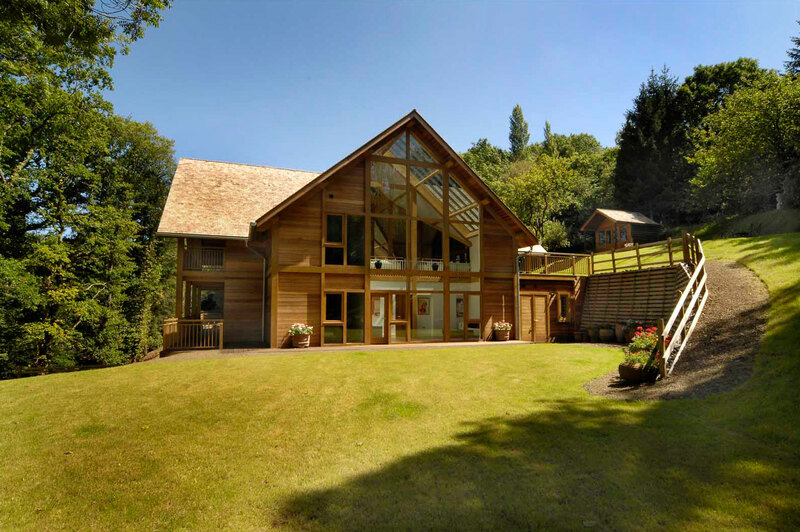 Our clients needed an architect in Teign Valley, Devon to provide them with a Full exterior and interior design service for their New replacement house. 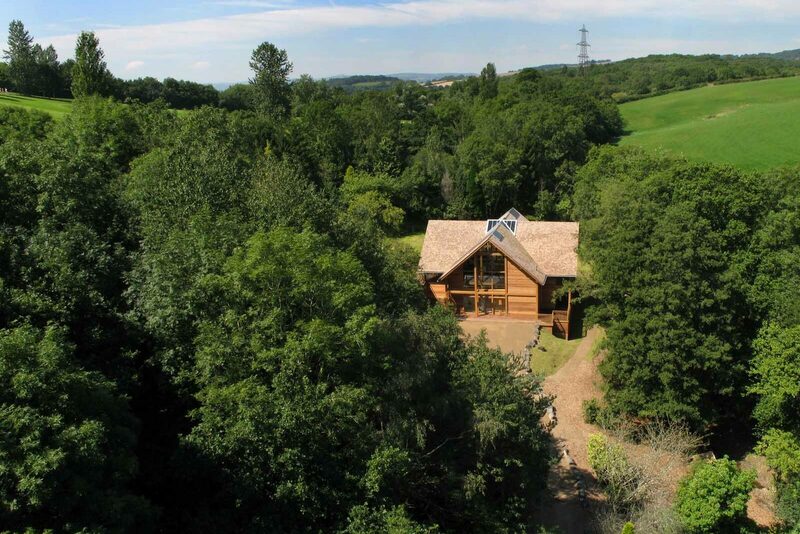 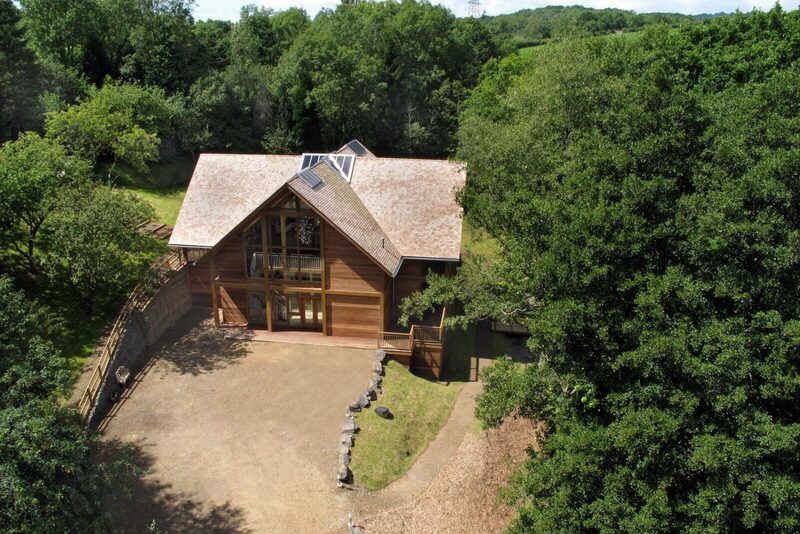 ‘Lyneham Coombe’ is a stunning residence located within its own private woodland, near Exeter. 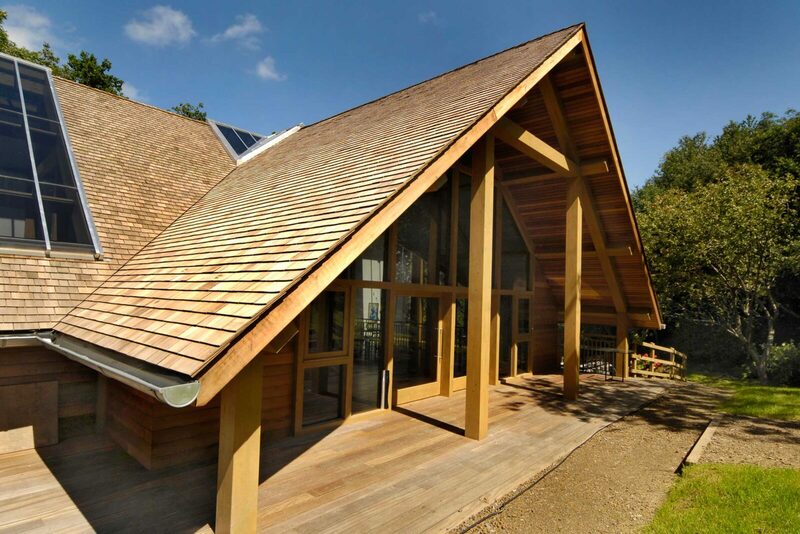 The house is constructed of timber to reflect its woodland setting and comprises glulam timber frame, cedar cladding and cedar shingle roof . 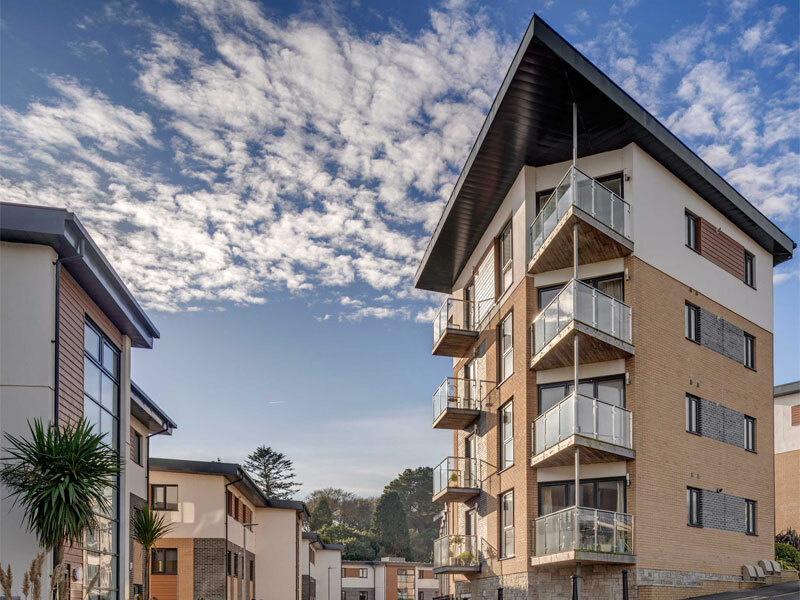 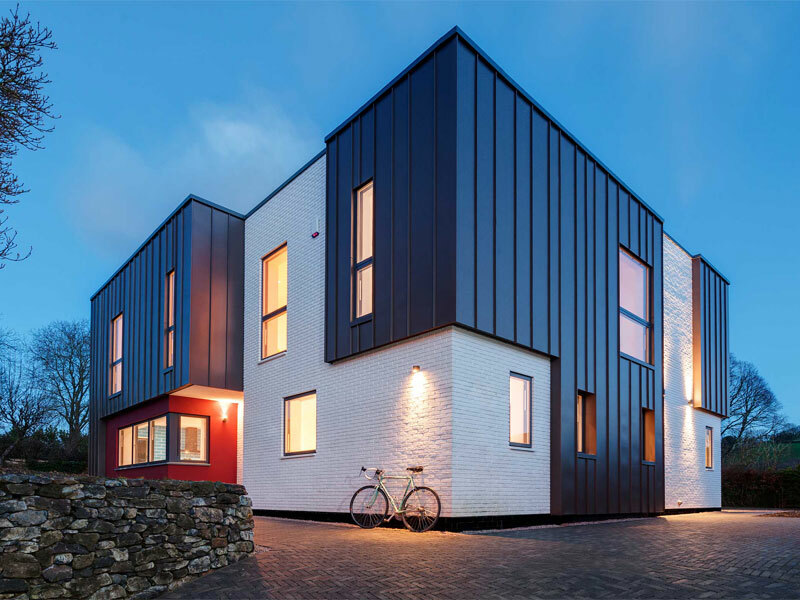 The Client, Sirius Projects Ltd, was keen to develop the building in an eco-friendly agenda with no copper or lead products. 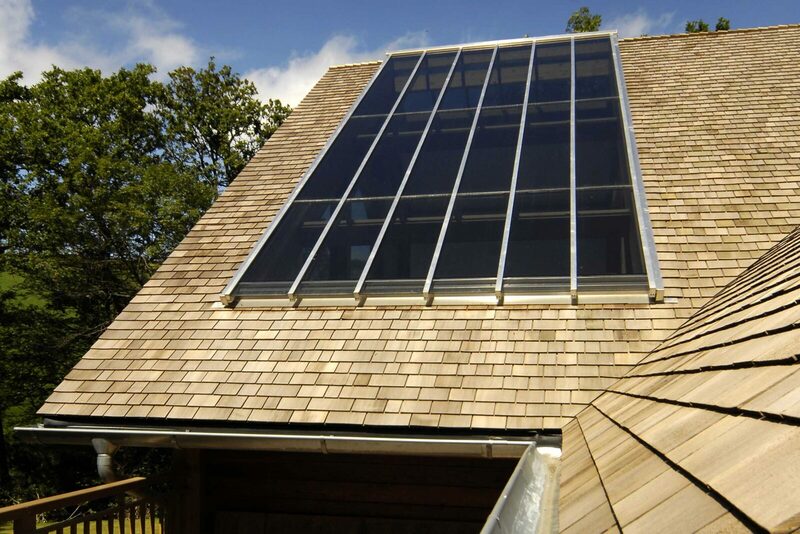 The natural water source on the site was brought into the house and a ‘rainwater harvesting’ system installed. 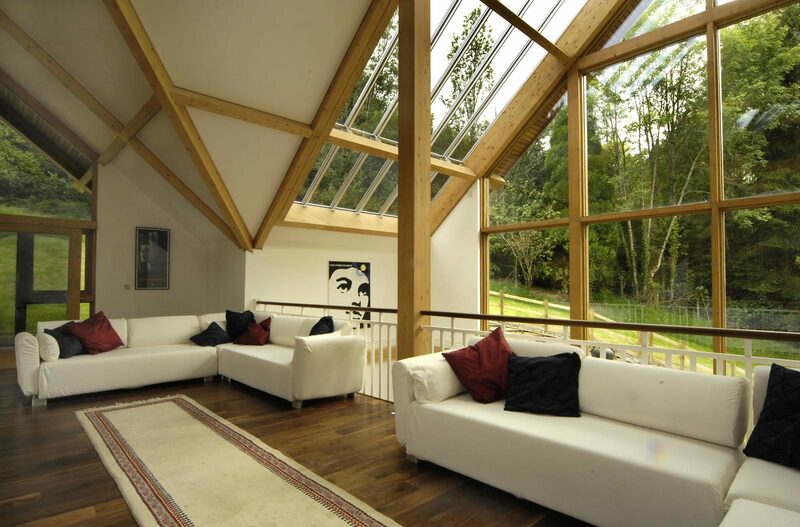 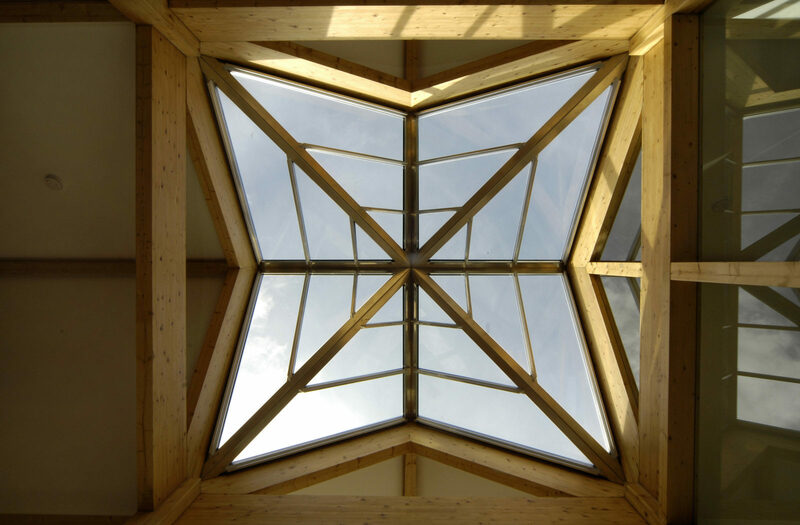 The crucifix plan form maximises the views through the trees in all directions with large amounts of un-interrupted glazing to the facades and roof. 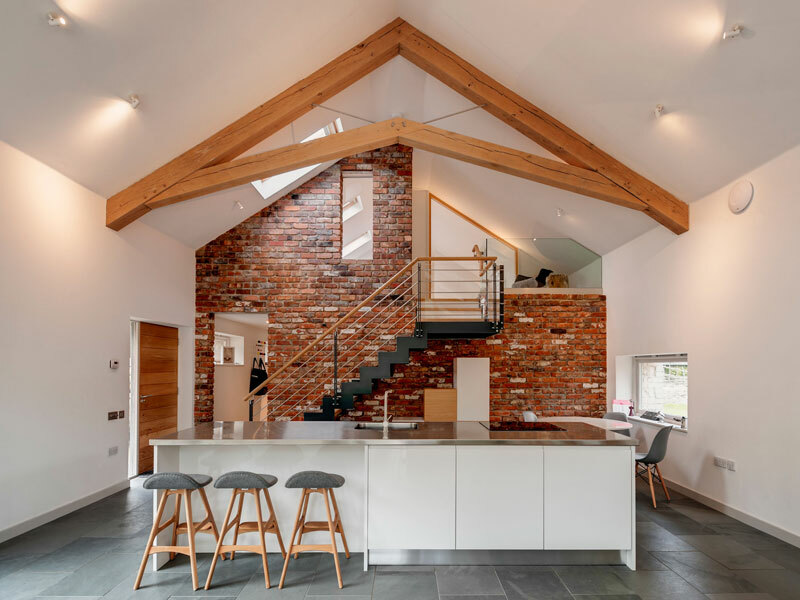 The open plan living accommodation together with the master suite is located across the entire first floor with all other accommodation and the garage located at the ground floor level.The interior has a clean, contemporary feel with the use of monochrome finishes which compliment the exposed glulam frame. 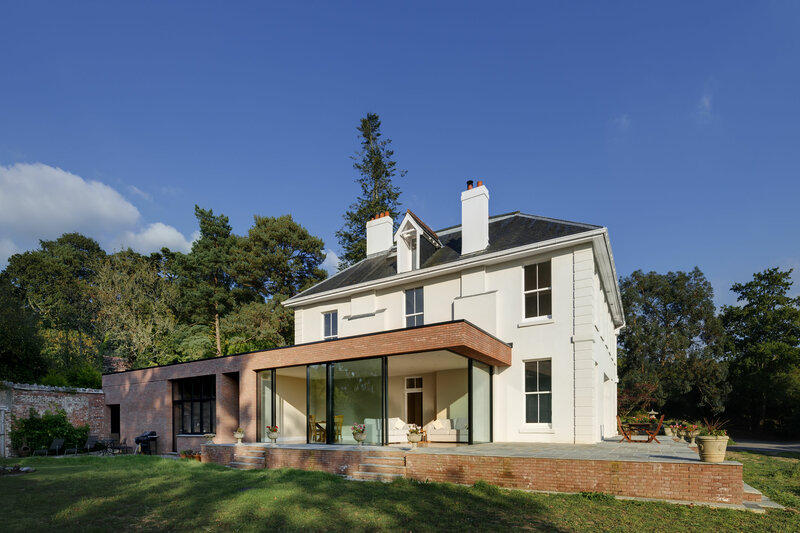 Walnut, limestone and terrazzo are used throughout with the white plastered walls and soffits. 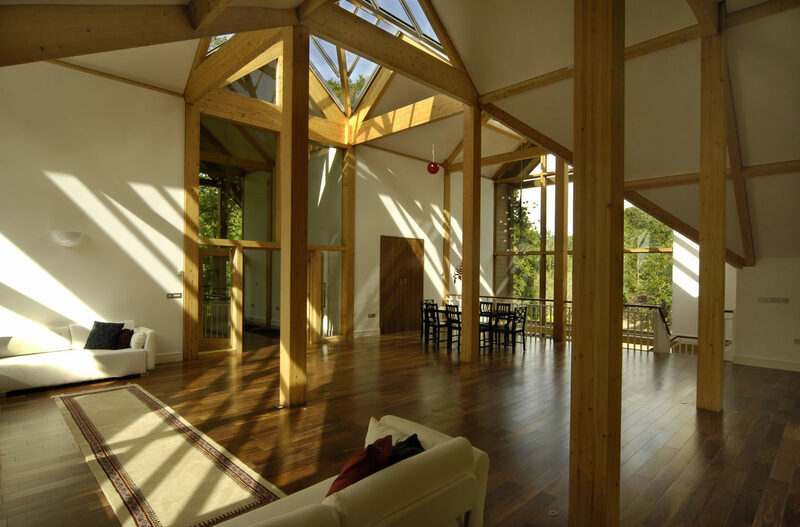 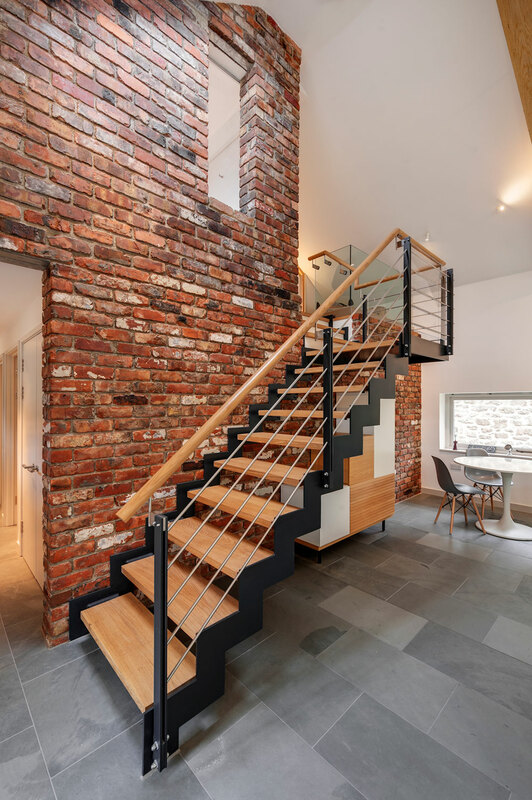 The project was Voted Best Residence, ‘Timber in Construction Awards’ 2008 and was Highly Commended at the LABC Design Excellence awards 2008. 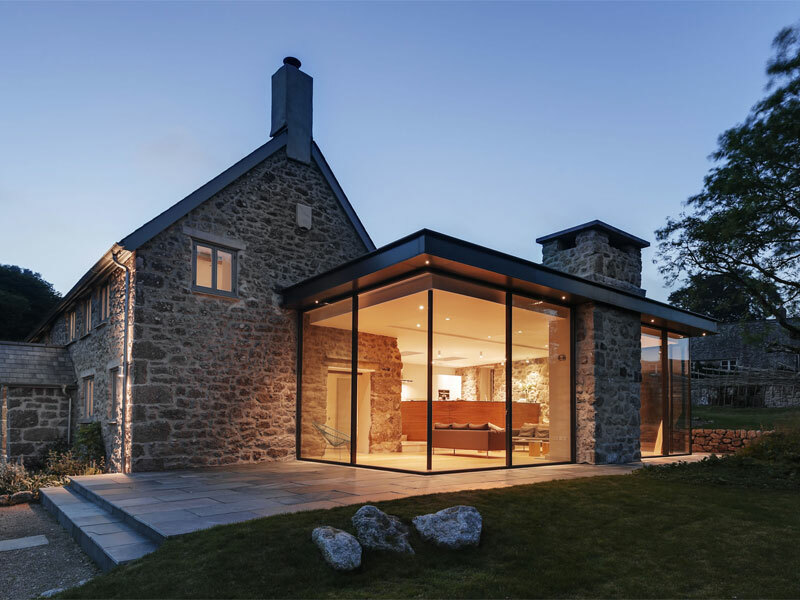 The project has also been featured in numerous publications, including the front covers of ‘The Times’, and ‘Grand Designs’ magazine.